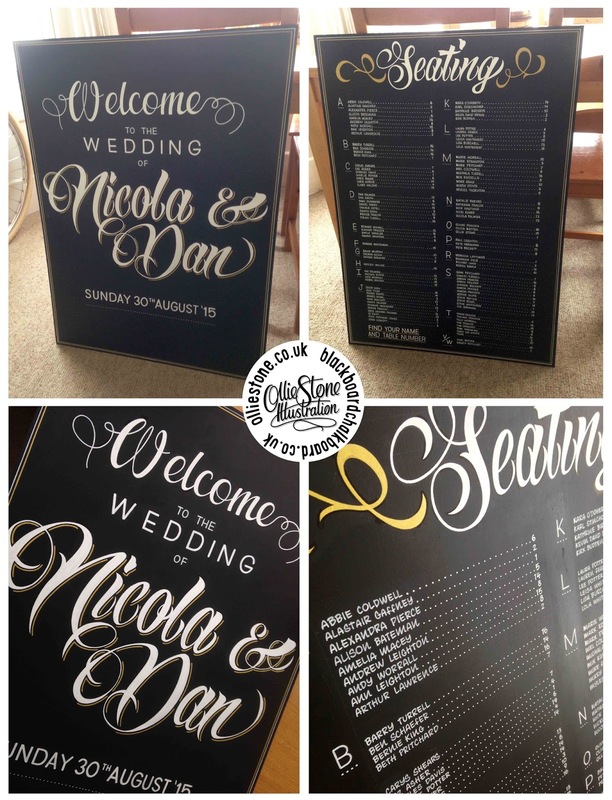 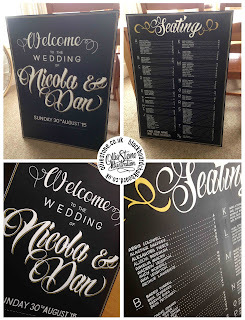 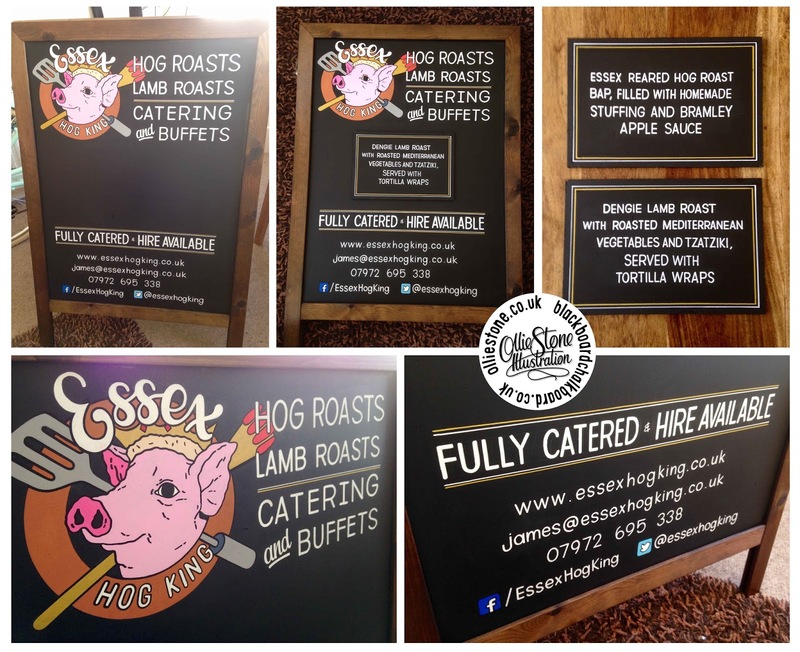 Chalkboard and hand-written signs. 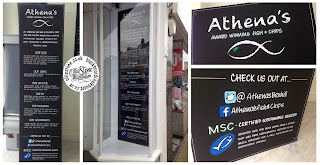 Brighton, London, South East. 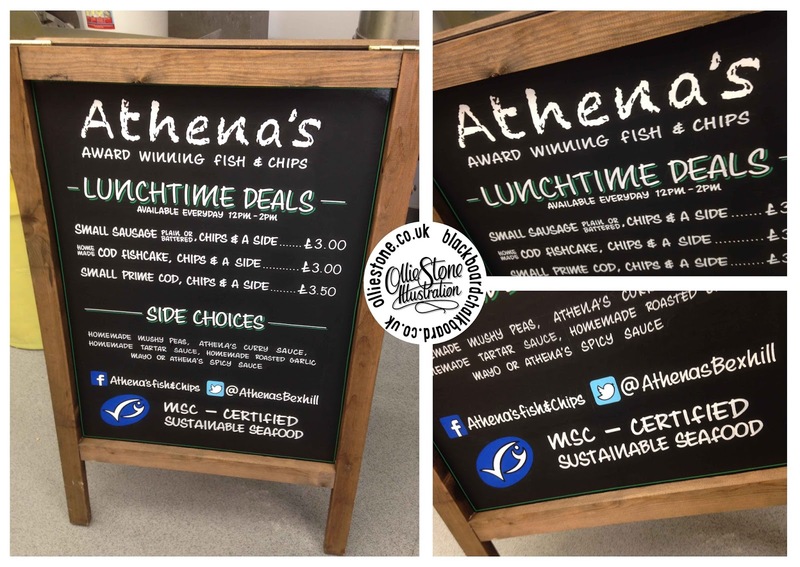 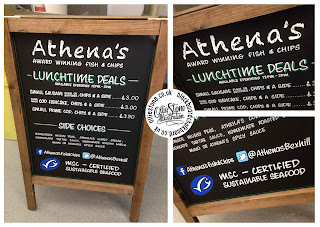 A-board for Athena's Fish & Chip shop in Bexhill. 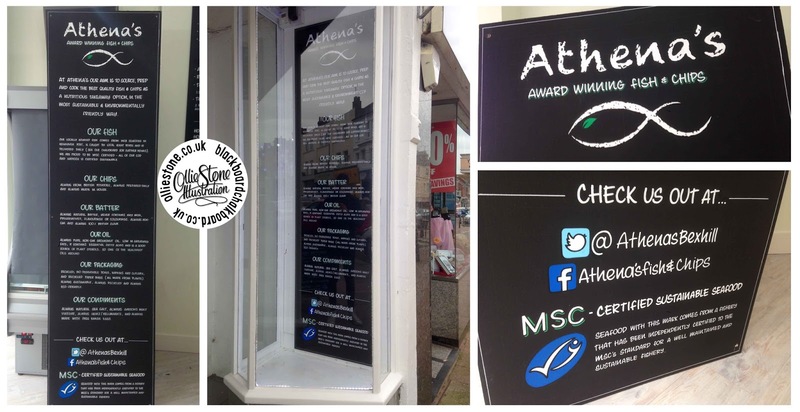 Signage for Athena's Fish & Chip shop in Bexhill. 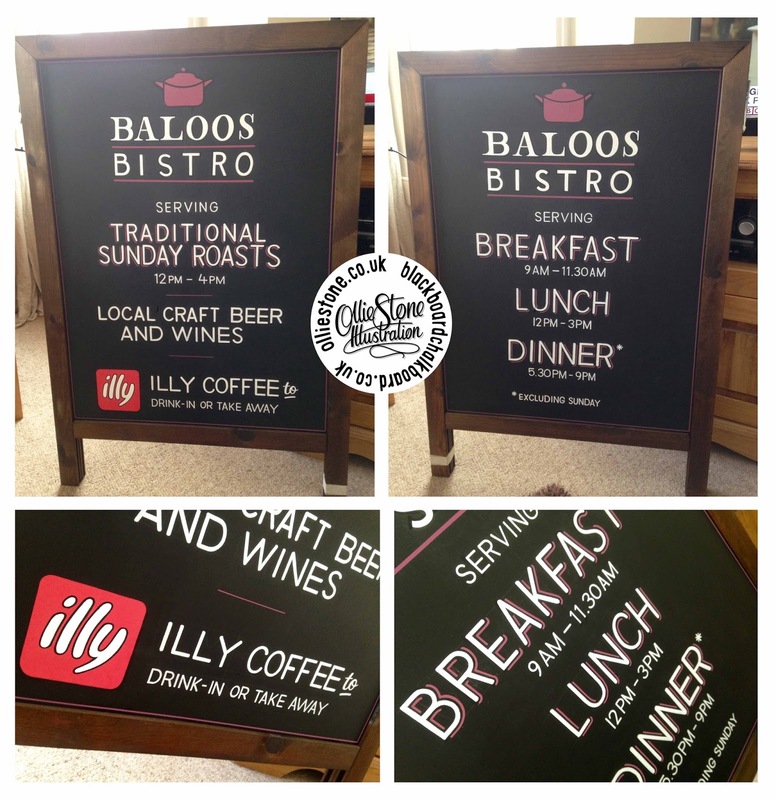 A-board for Baloos Bistro in Steyning. 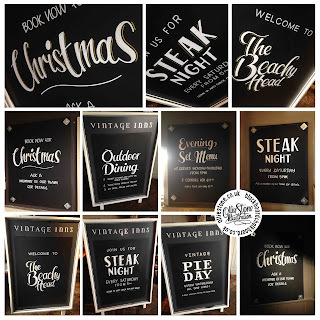 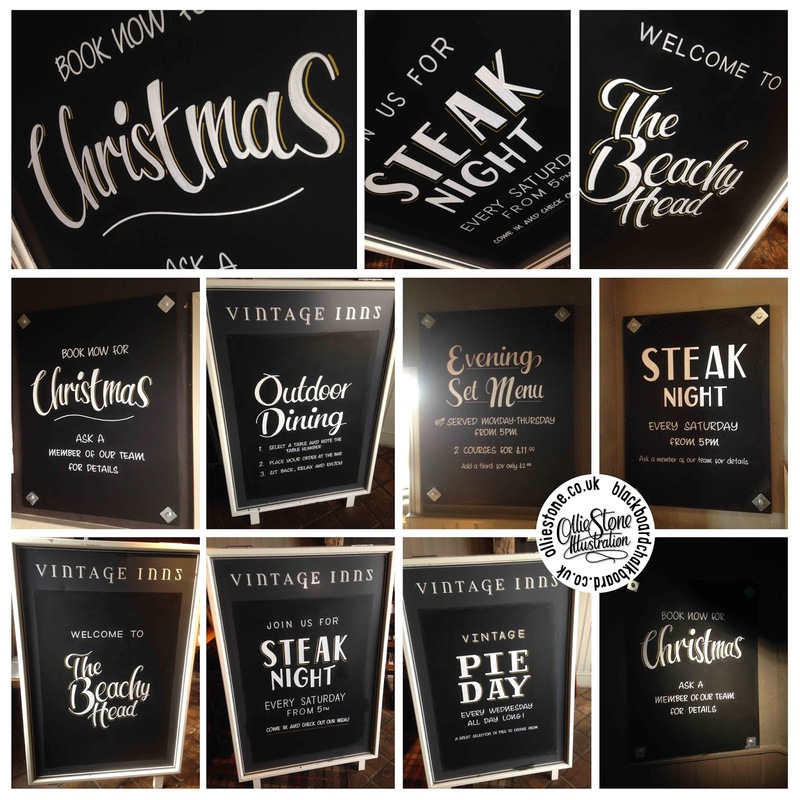 Various indoor and a-board signage for Vintage Inns, The Beachy Head in Eastbourne. 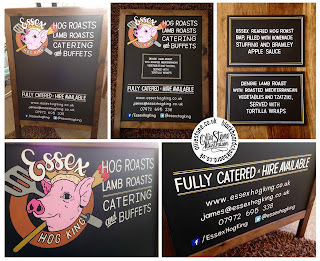 A-board and attachments for Essex Hog King in Maldon. 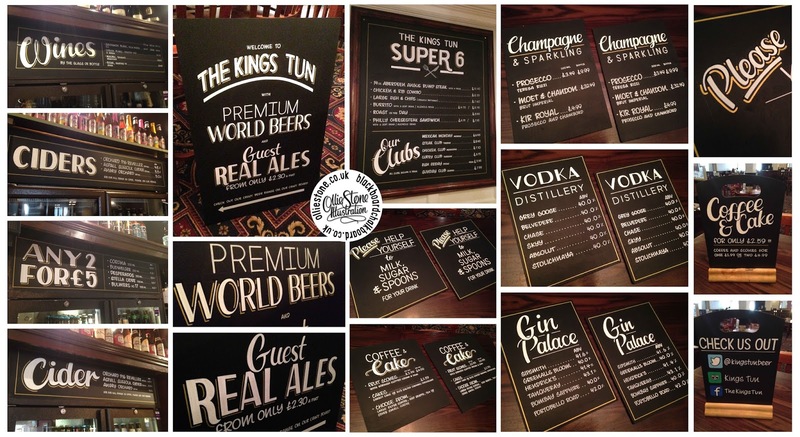 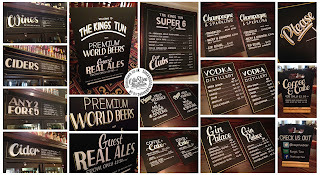 Two days worth of sign writing for JD Wetherspoons, The Kings Tun in Kingston.